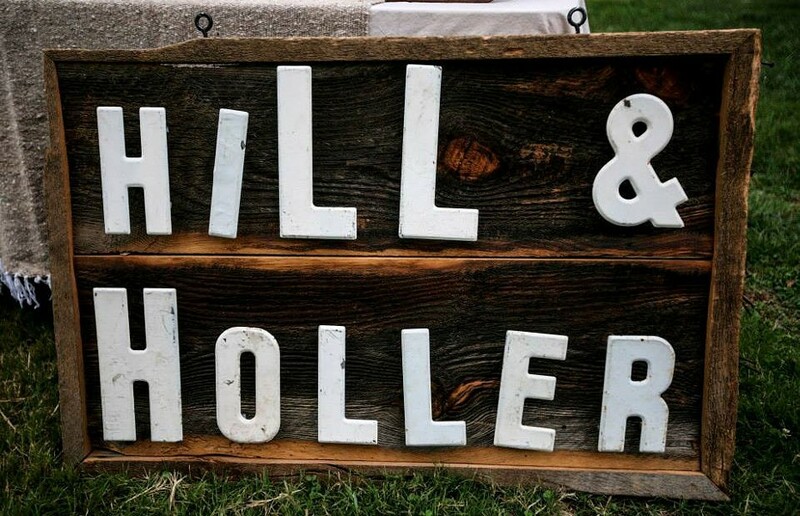 At the Top: Hill and Holler Comes to Libby Hill Park for Virginia Cider Week | Food and Drink | Style Weekly - Richmond, VA local news, arts, and events. After former Richmonder and Style Weekly contributor Tracey Love moved to Charlottesville, she went with friend Gail Hobbs-Page of Caromont Farm to a farm-to-table dinner put on by a well-known organization. (Love declines to mention its name.) "We left feeling disappointed, especially with such a high ticket price," she says. "On the drive back to Charlottesville, we discussed how we could alter the outdoor dining experience and tailor it towards my restaurant experience, just in a different setting." She wanted to find a way to showcase local chefs, local wine and local food in the same sort of farm setting, while tickets would benefit local charities like the Virginia Food Heritage Project and Piedmont Environmental Council. The setting was all around her — the rolling hills and gently dipping valleys that make up the landscape around Charlottesville were the perfect backdrop for long tables topped with white tablecloths, candles, flowers and family-style servings of food from fine-dining chefs. Most chefs have been from Charlottesville, but Love also invites out-of-town guests to cook as well — people like the Roosevelt's Lee Gregory, Caleb Shriver and Phillip Perrow of Dutch & Co., Heritage's Joe Sparatta and Owen Lane of the Magpie. On Nov. 16, as part of Virginia Cider Week, she's bringing the event to Libby Hill Park in Church Hill. "This will be our third annual Cider Week event," Love says, "and I wanted a change of scenery and to introduce some of the Charlottesville area [cider] producers to the Richmond market." Hard Pressed will showcase dishes from Gregory, Sparatta, Shriver and Perrow, plus Comfort's Travis Milton. "I have a long-standing relationship with Diane Flynt of Foggy Ridge Cider and saying yes was a no-brainer," Milton says. "I'm working with her on replanting a strip-mined [former] apple orchard of my grandfather's. …This [event] goes along with my love of all things apple." Blue Bee Cidery's Courtney Mailey helped get Love in touch with Enrichmond, which smoothed the way to transform the park into an event space. "It should be really cool," Gregory says. "I don't know of another event like this in Richmond -- outside, overlooking the river, celebrating cider." Love decided to start the event at 3 p.m., instead of in the evening, to try to beat November's chill. The setup will be buffetlike — another change from the usual table service at the events. "The logistics of trying to organize a seated, coursed dinner would be quite challenging for me living outside of the city," Love says, "so we decided to make it more of a party instead."